Indian filmmaker RGV is once again returning with crime thriller flick. It has been made on the life story of the India’s most infamous sandalwood smuggler. 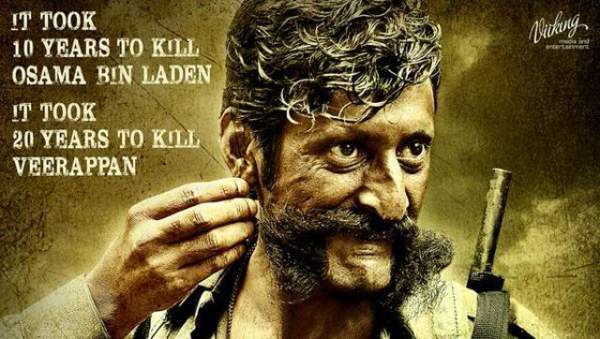 The film will be the Hindi remake of Ram Gopal Varma’s debut Kannada film “Killing Veerappan”. “It took ten years to kill Osama Bin Laden and 20 years to kill Veerapan. No villain like Verappan ever existed,” the tagline of the film reads. It seems that the director is back with another cult classic film like Satya, Company, Shool and Sarkar before slipping into oblivion with duds like Ram Gopal Varma Ki Aag. The trailer itself keeps us locked to the wooded forests of South India for about 2.5 minutes. Ramu says that fact that it might just have been bigger than even that to capture Osama Bin Laden. Veerappan killed 97 cops, 184 civilians, 900 dead elephants and a huge sum of money approximately Rs 734 crores spent to capture the feared dacoit. The movie stars Sandeep Bhardwaj, Sachin J Joshi, Usha Jadhav, and Lisa Ray in crucial roles. It is set to release on 27th May 2016.